The Seychelles Tourism Board (STB) office in Frankfurt has teamed up with Edelweiss Air to boost awareness of the destination among Swiss travel agents. This is in anticipation of upcoming direct flights by Switzerland’s leisure airline, linking Zurich to Seychelles, as of September 2018. A two-city workshop was organised by STB and Edelweiss Air, in Zurich and Lucerne. The workshop started in Zurich where the 60 travel agents set out on a boat trip on Lake Zurich on-board the M.S. Uetliberg. 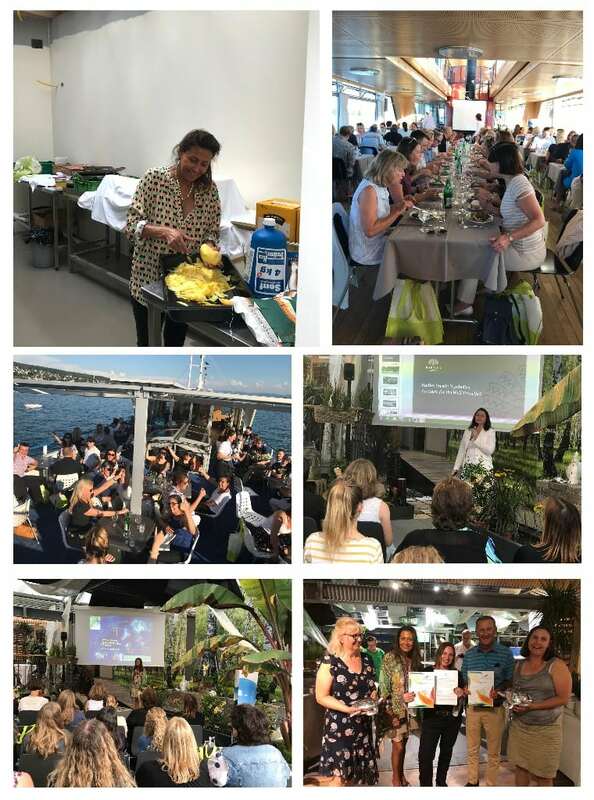 In Lucerne, some 35 travel agents visited the Heini Garten, a popular event venue set in a greenhouse with luscious vegetation, including palm trees and other exotic plants. The Director of the Seychelles Tourism Board for Germany, Austria and Switzerland, Edith Hunzinger, delivered a destination presentation. The travel agents also had the opportunity to meet seven trade partners, representing various accommodation establishments in Seychelles, namely Acajou Beach Resort, Coco de Mer Hotel and Black Parrot Suites, Constance Hotels and Resorts, Hilton Hotels and Resorts, Kempinski Seychelles Resort, and Raffles Praslin Seychelles. This allowed them to gather information about these accommodation and the products they have to offer. Mrs Hunzinger also made a brief presentation about Edelweiss Air, giving details of its upcoming non-stop service to Seychelles. In both cities the agents embarked on a discovery of the Creole cuisine where they got to savour some delicious coconut curry, tuna balls and mango salad, all of which were prepared by Mrs Hunzinger. The STB Director said she was quite satisfied with the level of participation for the two-city workshop. She also expressed satisfaction with the performance of the Alpine countries in general, which have constantly witnessed an increase in the number of visitors that come to Seychelles each year. “We have full confidence in the Swiss market, and the excellent turnout at our two workshops has proven the unwavering interest in and support for our destination by the Swiss travel industry. The Swiss love the Seychelles, and Switzerland will continue to be a reliable source country to us for many years to come,” said Mrs Hunzinger. Although Switzerland is experiencing a slight drop in visitor numbers coming to Seychelles so far in 2018 compared to 2017, it is expected that the introduction of a direct flight will help boost the Seychelles profile as a holiday destination among Swiss travellers.